These numbers are even more impressive when the Brazil's political and economic scenarios are taken into account. At the turn of the last decade, Brazil was one of the fastest-growing economies in the world, with rising living standard, falling poverty and investment grade debt, justifying it to be the 'B' in the BRIC group of nations regarded by many investors are having the world's best growth potential. However, in past years Brazil has struggled with economic mismanagement and corruption, experiencing its deepest recession in decades coupled with a political crisis that resulted in the impeachment of President Dilma Rousseff in 2016. After the impeachment, there was a decoupling between the political and economic scenarios and, in 2017, Brazil emerged from the recession with economic activity expanding at a faster-than-expected pace. Given this, we expect the Brazilian insurance industry to grow even faster in the coming years. In Brazil, there is no unified financial regulator with authority over insurance, banking, securities and pension funds. Financial regulation has long been organised at the federal level along functional lines with different regulators for each sector. The national financial system regulation is commonly divided into three components: policy boards, supervisory entities and operators. Policy boards set general guidelines to the financial system, but do not have executive functions. When deciding on an issue, they generally use the technical structures provided by supervisors. After a policy board sets guidelines, the relevant supervisory entities issue their own regulations thereof and become responsible for enforcing them. There are currently three policy boards (the National Monetary Council; the National Private Insurance Council (CNSP) and the National Complementary Pension Council (CNPC)) and four supervisory entities (the Central Bank of Brazil, the Securities and Exchange Commission, the Private Insurance Authority (SUSEP) and the National Complementary Pension Authority (PREVIC). Finally, operators include other public or private institutions directly or indirectly involved in obtaining, intermediating between or investing resources within the national financial system. It is quite common to subdivide them into monetary institutions, official entities, other financial institutions, other financial intermediaries, supplementary institutions, and insurance or pension institutions. the National Regulatory Agency for Private Health Insurance and Plans (ANS) regulates the health insurance and healthcare industries. CNSP and SUSEP are governmental entities under the Ministry of Finance, responsible for regulating the insurance sector (life and non-life, excluding health). protect the rights of the insured persons. Although this chapter is focuses on insurance companies regulated by CNSP and SUSEP, which carry out life and non-life insurance businesses, below is a summary of the roles of the other governmental authorities that regulate other products of the Brazilian insurance industry (e.g., closed-end pension funds and health insurance). CNPC regulates complementary pension funds operated by entities operating closed-end pension funds. CNPC is composed of the Social Security Minister (who acts as CNPC chair) and representatives of PREVIC, the Special Secretariat for Pension Policies under the Chief of Staff at Ministerial Level, the Ministry of Finance, the Ministry of Planning, as well as delegates from pension funds, pension fund sponsors and pension fund beneficiaries. PREVIC is a governmental agency under the Ministry of Social Security, responsible for supervising and inspecting closed-end complementary pension entities (pension funds) and for executing the policies set for complementary pensions. ANS is the agency established by the Brazilian Government under the Ministry of Health that operates nationwide to regulate, standardise, control and inspect the private health insurance and plans sector in Brazil, including private health insurance, health management organisation, self-insured plans, medical cooperatives, non-profit health organisations and dental assistance. Authorisation to operate as a Brazilian insurance company is granted according to the business segment and the regions of the country where the entity seeking to do business will distribute its products. The authorisation procedure is divided into three major steps: prior approval, ratification and product approval. A prior approval request must first be submitted to SUSEP by the entities that intend to control the insurance company. This request must be made prior to any organisational corporate act. The prior approval phase focuses on the financial and operational capacity of the shareholders in relation to the types of insurance segments that they intend to operate (life, non-life, private pension funds etc.). Together with the prior approval request, an applicant also needs to submit a business plan to SUSEP detailing the estimated projections of the insurance company's business for a time span of at least three years. This phase tends to last between three and four months. Once the prior approval of the project is granted by SUSEP, applicants must undertake to hold the relevant corporate acts for organising the insurance company, which are subsequently submitted to SUSEP for ratification purposes. The ratification phase seeks to confirm, through the documents submitted to SUSEP at this stage, whether the organisational structure described in the prior approval phase was duly implemented by the insurer's controlling shareholders; and to check whether the minimum capital requirements (which vary according to the types and number of products the insurance company intends to offer to the public at large, and the regions of the country in which it wishes to operate) were duly met. This phase usually lasts between three and six months, and SUSEP has the prerogative to summon the controlling shareholders of the newly organised insurance company for an explanatory interview should it deem this necessary. Only after the ratification is granted will the above-mentioned organisational corporate acts be duly registered with the Board of Trade, thereby becoming valid before third parties. Even though the authorisation to operate is granted by SUSEP in the same document in which it ratifies the resolutions taken in the insurer's organisational corporate acts, the insurer still needs to file before SUSEP a product approval request enabling it to sell its insurance products within Brazil. M&A involving local entities that comprise the SNSP are also subject to the prior approval and ratification proceedings described above. Prior to offering any type of insurance product to the public at large, regardless of the nature of the embedded coverage, the general and special terms and conditions of said product, as well as the related technical actuarial note (which sets forth the conditions for provisioning related to the insurance product) needs to be approved by SUSEP. At this stage, SUSEP will review and check whether the wording of such product meets the requirements established by the applicable regulation, and is drafted in a clear and objective manner so as to comply with the principles set forth by the Civil Code and Consumer Protection Code. This approval procedure generally takes between three and six months. There are other restrictions inherent in insurance and reinsurance activities, most of which seek to protect insured parties by preventing insurers from engaging in several types of transactions, especially with assets and funds of the technical provisions of each product. A good example of this is the rule that forbids entities regulated by SUSEP from granting any type of guarantee or security to any third party; and from granting, receiving, or both, any loan to or from any related parties (shareholders, managers, subsidiaries or any affiliates). Brazilian insurance companies are not subject to the insolvency and bankruptcy laws applicable to non-regulated entities. If an insurance company is in a dire financial situation, it will be subject to the following specific procedures originally created to target financial institutions: intervention, extrajudicial liquidation and the temporary special management regime. SUSEP is entitled to check the solvency situation of all entities accredited to do business within the SNSP and, if necessary, implement the above proceedings. This authority may also place insurance companies under a fiscal management regime,5 which is essentially a measure under which SUSEP allocates one of its agents to supervise all activities of the regulated entity that are not meeting the applicable solvency requirements. The supervisor agent has broad powers to conduct – jointly with the entity's management – the latter's business, and must keep SUSEP informed about all activities of said company. As a general rule, insurance companies are not subject to bankruptcy. They can, however, be adjudicated bankrupt under two specific circumstances: if a filing for extrajudicial liquidation is issued, but the assets are not enough to settle its liabilities with at least half of its unsecured creditors; or if there is sufficient evidence of bankruptcy crime. Local reinsurers must be organised as joint-stock companies headquartered in Brazil. Such entities must engage exclusively in reinsurance and retrocession activities (with exclusive corporate purpose). The proceedings to obtain a prior authorisation to operate, transfer control, and elect officers and directors, as well as the minimum capital rules, are the same as those applicable to local insurers. Since these rules are more stringent, there are fewer local reinsurers than admitted or occasional reinsurers doing business in Brazil. Brazilian insurance companies must give preference (right of first refusal) to local reinsurers to underwrite at least 40 per cent of the reinsured risks in each treaty or facultative agreement. Admitted reinsurers may be headquartered abroad, but need to have a representative office in Brazil. The representative office must be organised either as a joint-stock or limited liability company, but must have as its exclusive corporate purpose the representation of the offshore admitted reinsurer in reinsurance and retrocession transactions. There are some eligibility requirements that must be met by this type of reinsurer for purposes of accreditation, in particular the requirements to opening a local bank account and to keep, at all times, a balance of US$5 million in such account. The representative office's management must follow the same ratification rules applicable to local insurers upon the election, appointment or replacement of its officer or director, or both. Occasional reinsurers are in many ways very similar to admitted reinsurers, the only difference being that they do not need to have a representative office in Brazil. For this reason, eligibility requirements for purposes of accreditation by SUSEP are more stringent than those applicable to admitted reinsurers. The contracting of certain insurance coverage is mandatory according to the applicable Brazilian law and regulations, such as property insurance with respect to damages to assets and facilities of legal entities headquartered in Brazil arising from fire, lightning and explosion; and civil liability insurance for damages caused to third parties by land-based vehicles. The need to contract mandatory coverage prescribed by law varies according to the activities conducted by the Brazilian entities or individuals (except for the above-mentioned property insurance, which must be contracted by all legal entities headquartered in Brazil). Brazilian laws and regulations provide the following insurance should be exclusively contracted in Brazil: (1) mandatory insurance; and (2) non-mandatory insurance related to risks in Brazil taken out by individuals resident in Brazil or by legal entities (of any kind) domiciled in the Brazilian territory. In other words, risks that may take place in Brazil should be covered by policies issued by local accredited insurance companies. This does not mean that foreign insurers cannot underwrite local risks for Brazilian residents and legal entities headquartered in Brazil through policies issued abroad, but this practice is restricted to a narrow list of circumstances (e.g., whenever there is no local insurer interested in underwriting the local risks, or whenever foreign corporations may take out worldwide coverage abroad, including Brazil, but this coverage is not provoked, requested, funded or caused by the Brazilian insured). Supplementary Law No. 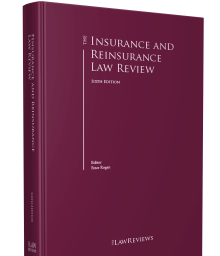 126/2007, which sets forth the main rules for reinsurance and retrocession transactions in Brazil after dismantling IRB's monopoly in this area. Notwithstanding the above, given the adhesive nature of most insurance policies (there is no arm's-length negotiation of their terms and conditions), the interpretation of insurance agreements by the courts tend to protect insureds. Protection tends to be more intense in cases where the insured is a consumer (especially under the Consumer Protection Code enacted by Law No. 8,078/1990). Insurance and reinsurance contracts are negotiated and placed both directly and through intermediaries. As a general rule, the formation of an insurance agreement is preceded by a written proposal sent by an insured person or an insurance broker. Local regulation, however, already admits the contracting of policies through digital channels, provided that certain conditions are met. At the time of placement, the applicable law and regulations demand the exchange of certain information between the insured parties and the insurance company. The insured parties must comply with the duty of utmost good faith, disclosing all material facts and acting honestly towards the insurance companies, in such a way that the insurance company has sufficient information about the circumstances involving the risk and coverage. Should the insured party fail to provide the requested information (or omit relevant data), the insurance company may (1) increase the premium, if the omission was not in bad faith; or (2) refuse to cover any claims that would otherwise be covered under the terms and conditions of the policy issued to the insured party, if the omission was in bad faith. Insurance companies generally have 15 days to request additional documents, reject or accept the insurance proposal. If the insurance company is silent, the insurance proposal is tacitly accepted. Insurance contracts must contain the identification of the parties (insurance company, policyholder, insured parties, beneficiaries), term of effectiveness, limit of liability, covered risks, applicable premium, details of the obligation to indemnify (claim notification and regulation rules) among other information. The insurance company has to provide very clear and objective information to the insured parties regarding the specific terms of the coverage being taken out, especially the events that are excluded from coverage, limits to the right to indemnification (maximum indemnification limits, deductibles, etc.) and the claim regulation procedures to be carried out in the event that a covered claim takes place. The interpreting of insurance contracts must abide by the general rules for interpretation of private contracts under Brazilian law. The Civil Code establishes the general rules for interpretation of private transactions. In this sense, the interpretation of any contract between private parties should seek and comply with the genuine intention of the parties when entering into the transaction; the uses and customs or traditions of the place where it took place; and the principle of good faith of the contracting parties (which is more strict in insurance contracts). In addition to this general rule, the interpretation of insurance contracts may also subject to the rules of interpretation of the adhesive nature of contracts (set forth by the Civil Code and Consumer Protection Code, as the case may be), which determines that in the event that any provisions are ambiguous or contradictory, the contract must be interpreted in favour of the party who adhered to such contract. The distribution of insurance contracts may be carried out either directly by the insurance company, by insurance agents, by policyholders or by insurance brokers and their agents. Insurance agents represent insurance companies in the distribution of certain types of insurance to the public at large. As a result of certain regulatory restrictions, such model is generally used by retailers to distribute extended warranty insurance. Policyholders represent insured groups; the policyholder model is generally used in bancassurance to distribute group insurance. they must have an officer responsible for insurance brokerage who is duly registered before SUSEP as an insurance broker. Once an applicant firm is accredited as a brokerage company, it must keep SUSEP updated about any changes relating to its corporate documents and governance or its organisational structure. Insurance brokers may also intermediate the distribution of insurance contracts through their own agents. Claim regulation procedures for payment of indemnifications by the insurer are generally triggered by the remittance of a claim notice by the insured or beneficiary to the insurer as soon as the insured or beneficiary becomes aware of a potentially covered event (claim). Upon receipt of the claim notice, the insurance company will start procedures to verify the information provided by the insured party, whether the claim is covered by the policy and the amount of the sum to be paid as indemnification. This procedure is known as claim adjustment or regulation. SUSEP establishes a maximum term for claim adjustment proceedings, which varies according to the type of insurance product. In general, the term is 30 days, counted as from the date on which all documents requested from the insured or beneficiary for claim regulation purposes are forwarded by the latter to the insurer (SUSEP allows an insurance company to make one request for additional documents and information during the above-mentioned term, the counting of which is suspended until such additional request is met by the insured or beneficiary). Some complex claims adjustments tend to last longer – reaching six to 12 months. 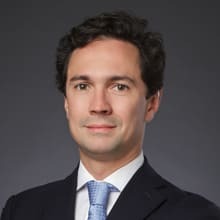 Although the Brazilian insurance market has recently grown considerably, there are no relevant court precedents or specialised courts for insurance and reinsurance matters. The lack of familiarity of judges (especially those of lower instances) with the laws and regulations applicable to insurance and the time-consuming nature of judicial proceedings (i.e., some proceedings may last more than 10 years) have caused complex insurance-related disputes to end up being decided in arbitration courts with experience in this field of law. The basic principles of private international law were incorporated into Brazilian law by Decree-law No. 4,657 of 4 September 1942 (usually known as the Law of Introduction to the Rules of Brazilian Law). Such rule provides guidance on the effectiveness, applicability and interpretation of Brazilian law and sets forth conflict of law rules. It also provides that agreements should be governed by the law of the country they were entered, but such legal provision does not exclude the contractual freedom of the parties to elect the law that will govern the rights and obligations under international agreements. Such contractual freedom is more limited if the dispute is subject to Brazilian courts, and the right of the parties to choose the governing law of agreements would depend on the existence of a link between chosen governing law and the underlying transaction. It is more broad if the dispute is subject to arbitration, because arbitration law expressly allows parties to freely choose the governing law and rules. third instance composed of the Superior Court of Justice and by the Supreme Federal Court. Insurance disputes may be time-consuming if the parties refuse to accept the first instance judgment. The New Civil Procedure Code, which became effective in March 2016, attempts to make litigation less time-consuming by developing and enhancing the rules concerning alternative dispute resolution mechanisms (especially arbitration and mediation); rendering certain decisions by the superior courts binding, and making a decision in a single case the model for court decisions in cases that are similar (similar to precedents in the United States). The New Civil Procedure Code's incentive for conciliation and mediation is clear, since judges, upon receiving any petition, shall establish a conciliation or mediation hearing to be carried out by experts in the matter who will try to resolve the situation by consensus. The parties may agree to submit insurance disputes to arbitration. Court decisions have recognised the validity of clauses providing for mandatory arbitration for civil and commercial matters; however, courts have decided that such clauses shall only bind consumers if they expressly agree to it. arbitration decisions may be enforced by courts. These characteristics make arbitration procedures more attractive than regular court procedures, especially considering that insurance matters are highly specific and complex. In fact, SUSEP encourages those entities that belong to the SNSP and operate big risk portfolios to include specific arbitration clauses in the general terms and conditions of this type of product. The use of mediation procedures has also grown recently because of the mandatory conciliation and mediation hearing required by the New Civil Procedure Code. An agreement executed among the parties may determine that they will be subject to extrajudicial mediation, regardless of any arbitration or court procedure. If any of such procedures have already begun, such procedures will be suspended until the end of the negotiations. In the event that there is no ongoing procedure, the limitation period shall be suspended until the end of the negotiations. The parties may also determine the form of the mediation, including its date, the place of any meetings and the mediator. The main characteristics of mediation are informality, good faith and confidentiality. The mediation seeks to resolve conflicts in a consensual manner, without resorting to any court or arbitration proceedings (but not prejudicing the right to resort to said dispute resolution mechanisms). Important changes in Brazil's insurance and reinsurance regulation took place in 2017, and 2018 seems set to follow a similar pattern. The authorities are constantly seeking to improve and adapt the country's regulations to the reality of the market. In 2017, the main regulatory changes were the removal of reinsurance limitations, and increasing product regulation. 75 per cent starting on 1 January 2020. On 20 December 2017, CNSP edited Resolution No. 353 removing the mandatory reinsurance and the intragroup reinsurance and retrocession limitations (items 'b' and 'c' above). The objective of such regulation is to foster more competition in the Brazilian reinsurance market and align it with global practices and tendencies. The insurance authorities are also working on potential changes to the regulation of cattle insurance, personal accidents insurance and capitalisation bonds. In 2017, Brazil emerged from its deepest recession in decades; it reduced inflation and interest rates to a record low, passed a labour overhaul to add certain flexibility to rigid law and strengthened anti-corruption measures. The economic conditions are improving in 2018, with increasing employment rate and consumer confidence. The insurance industry was strong in the past year, and is thriving after the end of the recession. We expect those factors to drive insurance M&A activity in 2018, with players seeking consolidation, specialisation, operational efficiency and strategic partnerships in the distribution of insurance. 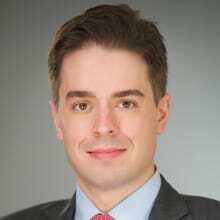 This environment may also encourage other players to launch IPOs following IRB Brasil RE, the largest Brazilian local reinsurance company, which successfully launched its IPO in July 2017, raising approximately 2 billion reais. In addition, in past years CNSP and SUSEP have improved the insurance regulation, which is becoming more market-oriented and more open to foreign competition. They are also addressing key issues to drive innovation through regulation, such as the regulation of insurtechs and distribution of insurance through digital means. Going digital will be crucial in order to improve efficiency, reach underserved demographics and raise insurance awareness. 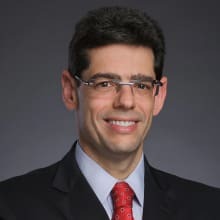 1 Bruno Balduccini and Diógenes Gonçalves are partners, and Roberto Panucci Filho is a senior associate at Pinheiro Neto Advogados. 2 Confederação Nacional das Empresas de Seguros Gerais, Previdência Privada e Vida, Saúde Suplementar e Capitalização-CNseg. 3 Estimated based on 132 billion reais revenues in the first three quarters of 2017. 4 Arrecadação do Mercado Segurador (December 2017; ANS up to September 2017), available at http://cnseg.org.br/cnseg/estatisticas/mercado/. 5 As provided in Decree-Law No. 73/1966 and in Decree No. 60,459/1967.